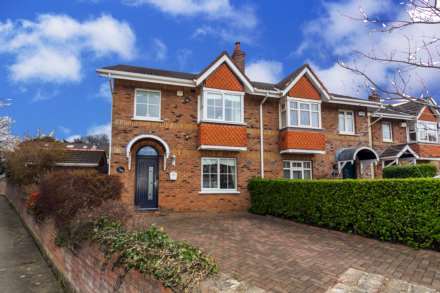 McGuirk Beggan are well renowned estate agents and auctioneers based in Terenure. Having established ourselves firmly within the industry for many years, we have over twenty one years of unrivalled experience helping many people successfully sell and buy their properties across South Dublin, in areas such as D2, D4, D6, D6W, D8, D12, D14, D16, D18 and D24. We concentrate our core business in areas such as Terenure, Templeogue, Rathfarnham, Knocklyon, Kimmage, Walkinstown, Firhouse, Ballycullen, Crumlin, Drimnagh, Churchtown, Dundrum, Sandyford, Rathgar, Rahtmines, Ranelagh & Tallaght. In every aspect of our business we are striving to continually set high standards of practise and professionalism. Our hands on, proactive and honest approach helps us to consistently achieve our clients goals. Our passion is finding people their dream home and a successful outcome is our sole commitment. At McGuirk Beggan estate agents and auctioneers we have invaluable expertise with a dedicated approach and unique understanding of our client’s needs. This is what has consistently resulted in repeat business from many of our happy customers. Homes for sale are updated daily on our website so don’t miss out on the opportunity of finding that dream home and let us join you on that journey. Why not have a browse through our recent testimonials to see what our happy customers have to say about their experience selling or buying with us. McGuirk Beggan Property are a highly professional and well established lettings agent based in Terenure, we are here to help people let their properties across South Dublin, in areas such as D2, D4, D6, D6W, D8, D12, D14, D16, D18 and D24. We concentrate our core business in areas such as Terenure, Templeogue, Rathfarnham, Knocklyon, Kimmage, Walkinstown, Firhouse, Ballycullen, Crumlin, Drimnagh, Churchtown, Dundrum, Sandyford, Rathgar, Rathmines, Ranelagh & Tallaght. If you have a property to let and are looking to find the perfect tenants, then let our experts do the hard work finding the right and most suitable people. We can assist you with everything from viewings to advertising, reference checking, and lease authoring. McGuirk Beggan’s reputation as experienced letting agents stands out from the crowd due to our friendly customer service, experience and attention to detail. When our mother made the difficult decision to sell the family home a year after our father passed away our main priority was that the process would be as stress free as possible for her. Choosing McGuirk Beggan to handle the sale was by far the best decision we made and we can't thank Jillian in particular, but also Sinead and the team enough for the careful treatment of our mother at all stages and the patience and kindness shown to her. The service provided was exactly what we wanted, with the perfect balance of personal attention and industry expertise. We would highly recommend McGuirk Beggan to anyone selling their property. From my first contact with McGuirk Beggan I found them to be customer focused, highly engaged and professional. That continued throughout the entire process which they were keen to ensure was as easy, efficient and pleasant as possible for me, whilst working to achieve the best possible price for my property. Their actions and approach is client centric, from providing very practical advice on getting property ‘viewing’ ready right through to dealing with utility companies once sale agreed and all the questions in-between. Though I dealt primarily with Sinead there was a whole team approach that ensured I was kept in the loop at all times and confirmed that I had made the right choice in McGuirk Beggan. I highly recommend them as estate agents who go the extra mile for their clients and do so with style and professionalism. Sinead Beggan was highly recommended to us from a friend who had used the service a few times as they flip houses for living. I knew it was going to be a satisfying service from the first phone call. Sinead was professional, friendly, and efficient, has very good knowledge of current market and local area and listens to all our queries. What I truly appreciated from her was the communication and honest opinion. We've discussed everything from setting asking price; photos used online, work needed to be carried out...etc. to whom the buyers are. Sinead worked so hard to get clients in and negotiated on offers and always kept me in loop. Needless to say we've closed a deal on the house above our asking price. I am so thankful that I had appointed Sinead for the selling of our property; it would have been a very stressful experience otherwise. I cannot recommend McGuirk Beggan Auctioneers enough to anyone and I wish they have a branch in Cork. Her service is truly one of the kind. We were selling and buying at the same time which was a big challenge. Going through this process gave us exposure to a huge number of estate agents in the Dublin area and without doubt McGuirk Beggan is the best out there. Dealing with Sinead and the team directly rather than a junior in a bigger firm gave huge comfort. The team have huge experience, expertise, the advice was second to none and the continuous updates and communication was superb, which can be a big let-down with other firms. They are also very genuine and easy to deal with which was a big plus and so important. Finding the right person to sell your house is a difficult and ultimately the most important decision you will make to get the right price. Take my advice, don’t go with anyone else. You won’t regret it. Because of less-than-satisfactory encounters with various estate agents in the past I was dreading the prospect of putting my late parents’ house on the market. However, the wonderful team at McGuirk Beggan (Sinead in particular) turned what could have been a grim experience into a positively pleasant one. They were at all times efficient, courteous and highly professional. I was given regular updates on the numerous viewings organised by them, and within a remarkably short timeframe a very satisfactory sale ensued. I would have no hesitation in recommending McGuirk Beggan to prospective customers. Selling our property in a time of recession we knew would be a daunting task, a sale that I am convinced would not have been achieved if it had not been for McGuirk Beggan Property. The professionalism and efficiency we received from Sinead and Jillian throughout the marketing and sale of our home was first class. Viewings were made as flexible as possible and were always followed up by a phone call with a full report. Their honesty, straight, forwardness and personal attention kept us at ease in what could have been a very stressful time. We would have no hesitation in recommending Sinead and Jillian to any future buyers or sellers and would not hesitate to engage their services again should the need arise. We engaged the services of Sinead Beggan from McGurk Beggan Property to sell our house in early 2015. From the initial valuation through continued communications and to the final sale of our property we found them to be so professional, efficient and easy to deal with. Nothing was ever a problem and they continually gave us great assurance, advice and solutions to the sometimes unexpected challenges during this process. McGurk Beggan Property are strong negotiators with a very obvious wealth of experience in their area and for me a unique edge when it comes to providing a very personable consultative service. Thank you for all your help when we were purchasing the house in Templeogue. We really appreciate that you were so readily available to help with any queries that we had and did not hesitate to keep us informed on things as they were progressing. I have dealt with other auctioneers in the past and never found any of them as helpful and available as you have been and thanks too for your follow up calls after the sale had gone through to make sure that everything was okay. You gave us the best personal attention that we have received from any firm that I can remember. You will be my first call if I or any of my friends are ever thinking of buying or selling as I have complete confidence in you. Once again thanks very much for all your help.